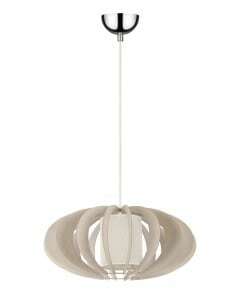 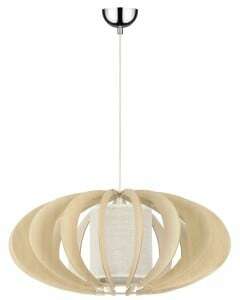 Thank you for submitting your question about Pendant lamp Keiko wenge / cream E27 60W. 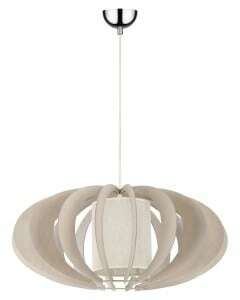 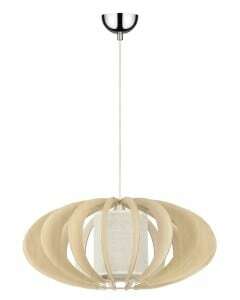 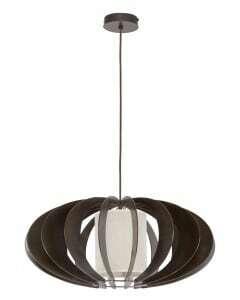 Ceiling hanging lighting in wenge / cream color, which perfectly complements every home interior. 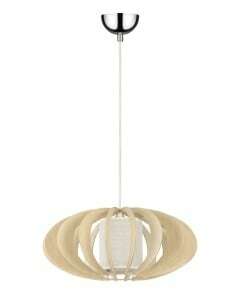 Rustic lamps add charm and make us feel calmer inside. 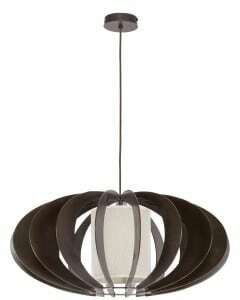 The presented lighting is best distinguished in the living room or dining room. 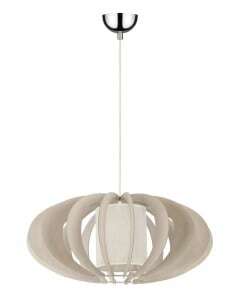 The described luminaire allows the installation of one light source with an E27 socket and a maximum power of 60 W. Lamp height: 900 mm. 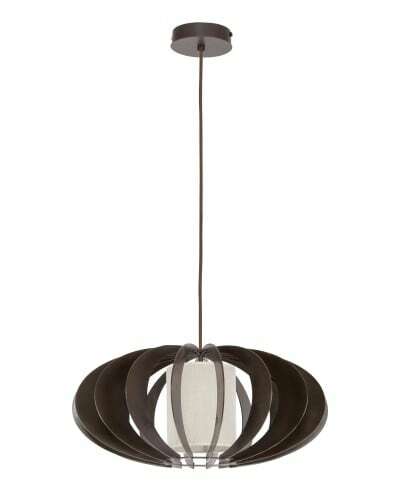 The product is made of the highest quality materials: metal, wood and fabric.